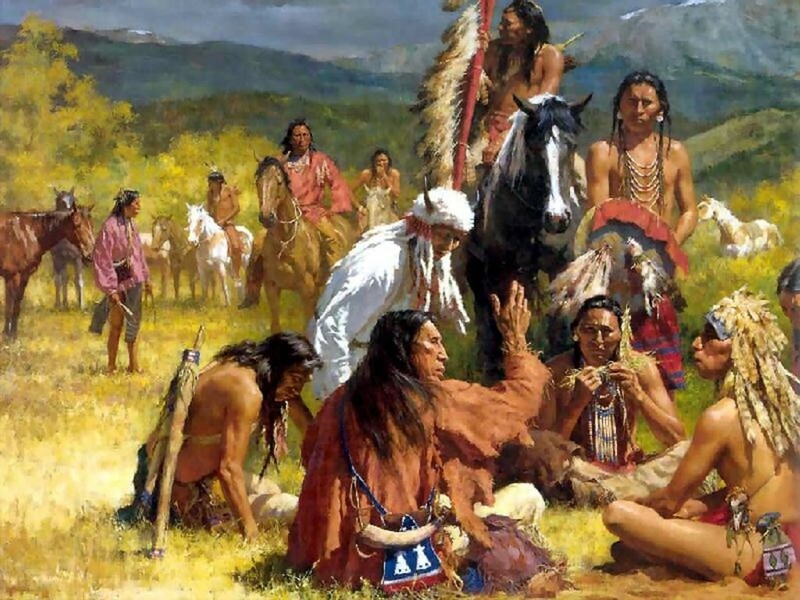 Over 12,000 years ago the area that is now known as Virginia in the United States was home to the Powhatan and many other tribes of the Algonquian people. Surrounded by nature's incredible beauty and rivers in every direction, this was the land of the Powhatan prior to European settlements in America and the Anglo-Indian wars. 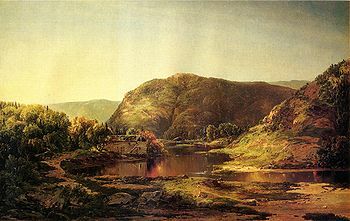 The Susquehanna river flowed into a valley when the Atlantic sea level was lower, not long after the tribal people began populating the area. This valley of water became known as the Chesapeake Bay. Further inland is the beautiful Shenandoah Valley. The Powhatan lived near where Jamestown was settled and along Virginia’s eastern coastal region. 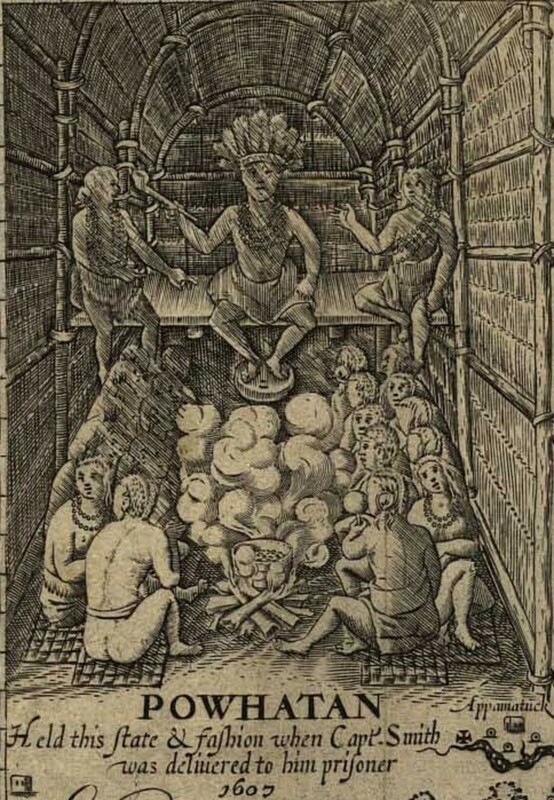 In the late 1500s the paramount chief Powhatan (Wahunsunacock) had control over his own tribe and five others. These tribes included the Arrohateck, the Appamattuck, the Pamunkey, the Mattaponi, and the Chiskiack. The Pamunkey tribe was by far the most powerful in numbers and strengths. By the time the European settlement of Jamestown was built in 1607, Powhatan had added several other tribes to his domain to total thirty tribes under his control. This formed a powerful paramountcy under Powhatan. Each of the tribes within the paramount chiefdom had their own chief who controlled local issues, but all paid tribute to Powhatan, who held the greatest authority. His town of Powhatan is today believed to have been in eastern Richmond, Virginia in what is now called Powhatan Hill. By 1598, the tribes of Kecoughtan, Youghtanund, Rappahannock, Moraughtacund, Weyanoak, Paspahegh, Quiyoughcohannock, Warriaskoyack, and Nansemond, were added to the original members. All the people of these tribes spoke the same eastern-Algonquian language. Werowocomoco was a separate major center of the Powhatan paramountcy on the north bank of York River, in today's Gloucester County. The York River is an estuary about 34 miles long, in eastern Virginia -- the mouth of the river is on the west side of Chesapeake Bay. Excavations done in 2003 - 2004 yielded extensive artifacts showing there was an Indian settlement there for hundreds of years prior to the Jamestown settlement. 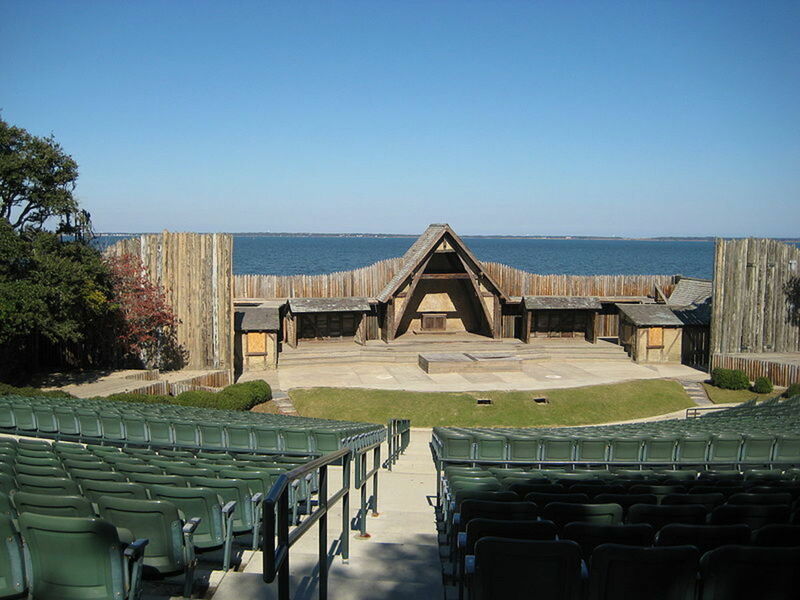 In 1607, Jamestown was the first permanent English settlement of North America. Conflicts between the settlers and the Powhatan paramountcy began almost immediately. With the Europeans trying to expand beyond Jamestown, conflicts over land continued to grow. In 1608, Captain Newport, who had led the first European exploration party up the James River in 1607, realized that Powhatan's friendship was crucial to the survival of the small Jamestown colony. 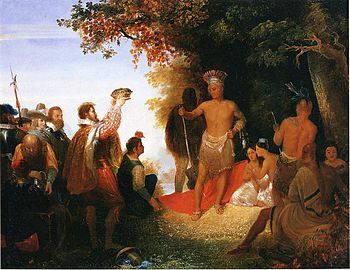 In making an effort to pay tribute to Powhatan, Newport decided to have a little ceremony to place an English crown upon Powhatan's head, give him many gifts to show respect, and accept him as the paramount chief. The purpose of the ceremony failed when Powhatan refused to kneel to receive the crown. Powhatan would follow no rules but his own and kneeling in submission to the English was not one of them. 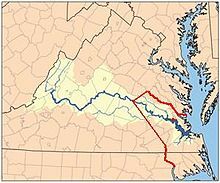 In 1609 Powhatan relocated to Orapakes at the head of the Chickahominy River. Nearby was the village of the Pamunkey. Opechancanough, Powhatan's brother, was chief of the Pamunkey. The Pamunkey tribe, because of its strengths, could have been the ruling center of the confederacy and the leader in warfare had it not been for the superior leadership qualities of Powhatan. In August, 1610, the First Anglo-Powhatan War began and lasted till 1614. The English continued to gain new footholds. Powhatan, aging and losing control to his younger brother Opechancanough, responded less to the attacks. Opechancanough, a greatly feared warrior and well-liked leader of the Powhatan paramount chiefdom, was strongly opposed to the settlers. 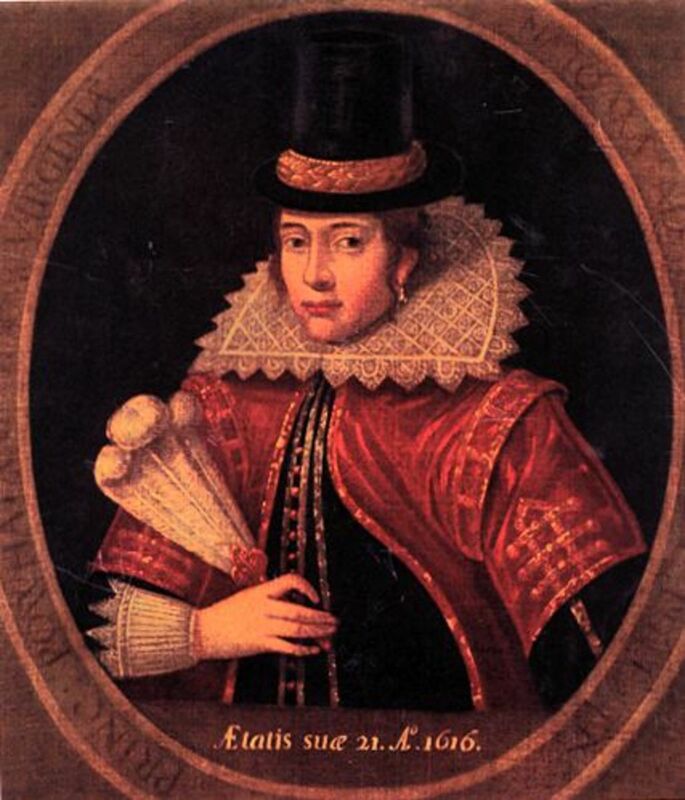 In an effort to gain more power, the English took Powhatan's daughter, Pocahontas, captive and held her for ransom. Negotiations over hostages and weapons went on for almost one year. In March of 1614, a peace was concluded and sealed by the marriage of Pocahontas to John Rolfe, a colonist. For a few years, relations between the Indian and settlers were a little better. During this time, around 1614, Powhatan moved his town further north to Matchut, which is now King William County on the north bank of the Pamunkey River. The second Anglo-Powhatan War began in 1616, when uprisings started again. The Chickahominy tribe refused to pay their share of corn to the new governor of the settlements and rejected the alliance with the English. Powhatan died in 1618 and Opechancanough, his brother, came to full power. By maintaining friendly relations with the English, Opechancanough gained their trust. In 1622, warriors of Opechancanough, mingling with the settlers, suddenly struck and killed a third of the colony. Over the next ten years, attacks back and forth left many dead on both sides. 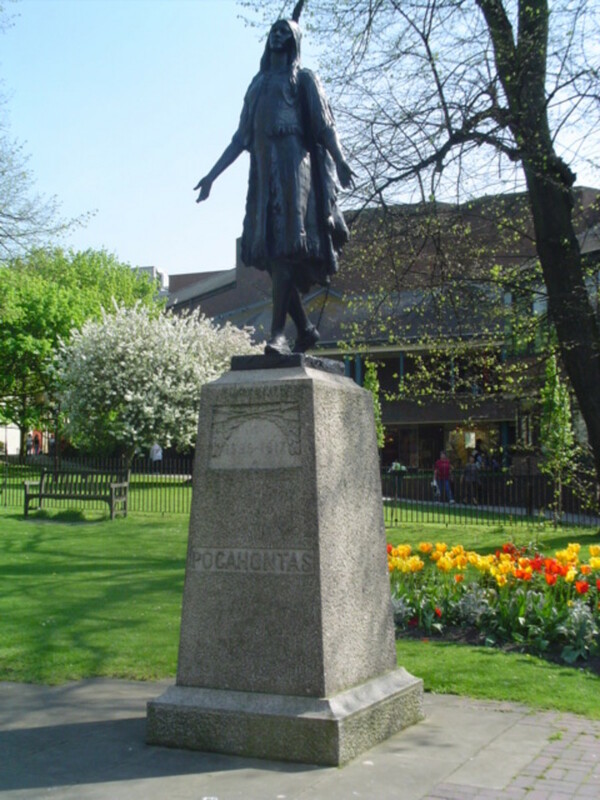 Powhatan, died in 1618. Opechancanough became the paramount chief. Under his leadership attacks and hostilities with the colonists escalated rapidly. For twelve years there was some peace, but the tensions were still apparent. After Powhatan died, Opechancanough became the paramount chief. Under his leadership attacks and hostilities with the colonists escalated rapidly. Then the third Anglo-Powhatan War started up in 1644. The Powhatan paramountcy, still under Opechancanough, made a last effort to remove the Europeans from the colony. 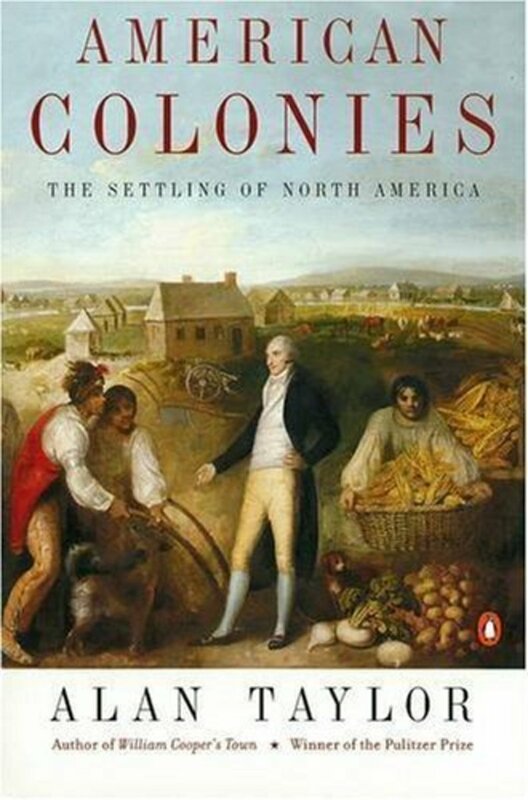 The colony had grown considerably and the death of 500 settlers was devastating, yet that was just a small percentage of the entire population. The Europeans were steadily gaining land and more power. The Anglo-Powhatan Wars devastated the Powhatan peoples and affiliated tribes. 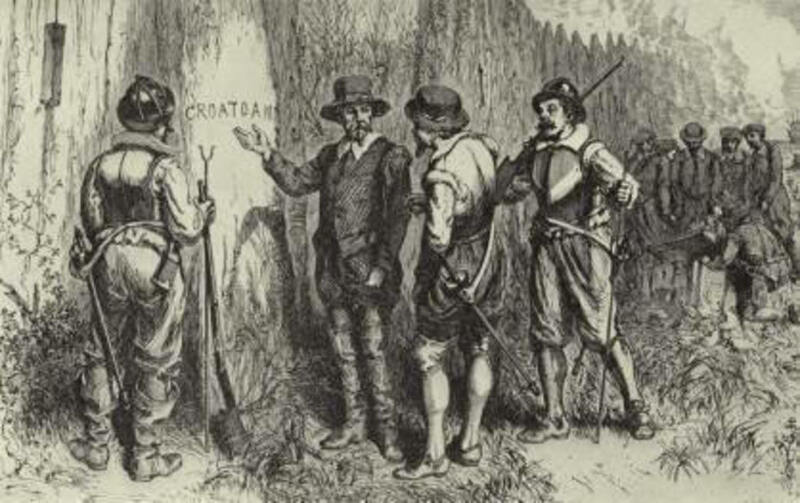 Scholars and historians believe that before the settlers came there were at least 15,000 people, possibly as many as 21,000, in the Powhatan paramountcy. 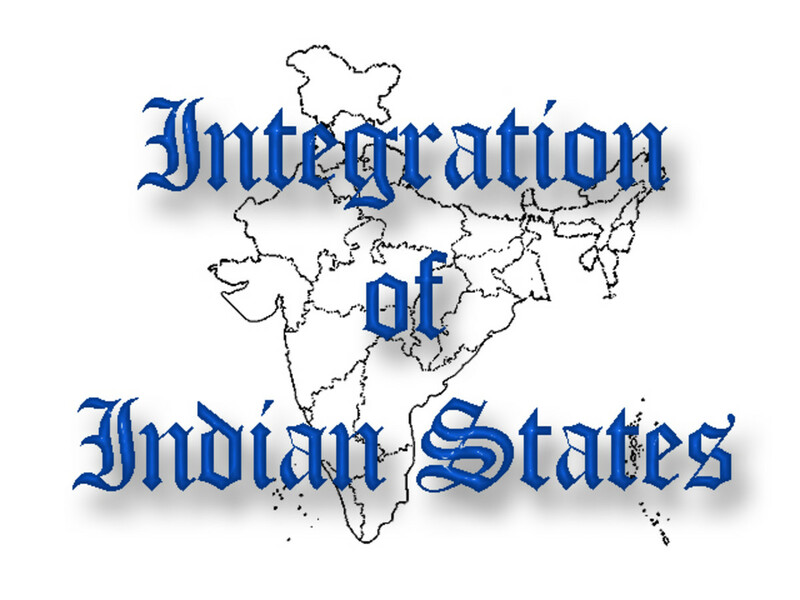 Conflicts between the colonists and Indians was a constant threat for both sides. Due to deaths in the wars and infectious diseases the Indians had no immunities against, their numbers began to shrink drastically. Three new forts were built in 1645 by the colony. With Fort Charles, Fort James, and Fort Royal established on major rivers and near falls, the English had better strongholds. In August of that year, an attack lead by Governor William Berkeley, resulted in the capture of Opechancanough. All other male captives were deported to Tangier Island. Opechancanough was killed. The major power of the Powhatan Confederacy ended with the death of Opechancanough. He was 100 years old. The treaty of October 1646 established set guidelines and boundaries for the settlers and the new paramount chief, Necotowance (nephew of Opechancanough), and sub-tribes of what was once a powerful paramountcy. Governor Berkeley of Jamestown, developed and maintained friendly relations with the remaining Indian tribes and a relative peace reigned for thirty years after the end of the third war. Sadly, by 1646 most of the Powhatan paramountcy was gone. Wars between the ever increasing colonists and the Indians nearly made the Powhatan tribes extinct. Only one tribe remained -- the Pamunkey tribe survived and today their descendants are still living in the same areas where their ancestors first settled. They are referred to as the First People of Virginia in what used to be the land of the Powhatan. Totopotomoi, a grandson of Powhatan's sister, became the next Pamunkey paramount chief in 1649. He was a strong ally of the English. He married Cockacoeske, the daughter of Opechancanough. After his death, Cockacoeske became the paramount chief. She was called "Queen of the Pamunkey" by the English. Eddy, thank you for the visit, vote and comment, also for sharing. I always appreciate your visits. Have a wonderful evening. A wonderful hub Phyllis and your obvious hard work has certainly paid off. Martin, thank you for your visit and comment. I really appreciate it. Thank you for bringing us this. How history changes. Pat, the area you grew up in abounds in beauty and the amazing history of the earliest peoples. I am so happy you enjoyed my hub. Thank you so much for the visit, comments, vote and Angels. I really appreciate it. Many blessings and hugs to you. Growing up in Virginia I was steeped in our history. I lived in Middlesex County which was close to many of the areas that you mentioned. I went camp at Jamestown and visited Gloucester many times. We always had opportunities to learn more of our history on those excursions. This was an intriguing read from beginning to end. Angels are on the way. Voted up and shared. tillsontitan, I never cared for history in school either. I amazed myself when I suddenly became passionate about history when I started writing about 10 years ago. Thank you for your visit, comment and votes, it is very much appreciated. I hated history in school but then we never learned the truth about both sides. You make it all interesting while telling what really happened. Vote up, useful, and interesting.